Specializing in personal injury, the Ronald Schwartz law firm works tirelessly and fearlessly to achieve justice for its clients. Established in 1972 by Ronald B. Schwartz, the firm has a history of more than thirty years winning cases on behalf of wronged parties. The legal team at the Ronald Schwartz believes in a steadfast approach, meticulous investigation, detailed research, and an honest relationship with its clients. Moreover, the firm also specializes in extracting the truth at the witness stand and is able to thwart the strongest of opponents. Whether it is a car accident or sexual abuse by the clergy, the powerful father-daughter duo of attorneys, Ronald Schwartz and H. Shaina Colover, tenaciously stick to their beliefs of protecting the rights of their vulnerable clients. It is no surprise that they are continuously acknowledged for their outstanding performance in the court. Ronald Schwartz’s name repeatedly comes among the best lawyers of America, and he has been recognized more than once as a Southern California SuperLawyer. Similarly, H. Shaina Colover is considered a rising star among lawyers. The law firm of Ronald Schwartz has won countless cases related to personal injury, insurance bad faith, business litigation, elder abuse, sexual abuse, etc. One of its most prominent cases was the representation of the rights of the family of Gloria Ramirez who was brought to the ER and was not treated because the hospital claimed that the deceased’s body emitted fumes that made the emergency staff ill. Due to the relentless work of the hardworking legal team at Ronald Schwartz, the wronged family was awarded $800,000 as damages by the Riverside County. The firm continues to uphold its founding principles and labor diligently to protect the rights of the individuals and families harmed by the negligence of powerful organizations or people. Q:What kind of insurance claims does Ronald Schwartz handle? A:Ronald Schwartz law firm caters to many cases related to insurance fraud and mismanagement. The firm has expertise knowledge of the insurance industry and seeks to help all those who are denied their insurance rights. Ronald Schwartz provides services for insurance cases where an insurance company refuses to give benefits, where a claimant receives less insurance than his due share, and where the insurance payments are denied or delayed for unreasonable purposes b the insurance company.  Q:In which practice areas does the Schwartz law firm offer legal services in? A:The Schwartz law firm offers legal service in a number of practice areas. It has specialized attorneys that handle claims arising in the following areas: Personal injury and wrongful death, car accidents, truck accidents, dog bites, motorcycle accidents, insurance fraud, water damage and mold claims, fire loss, injury from defective items, injury from defected machinery, sexual abuse, and business litigation. Q:Schwartz Law Firm is headed by which attorneys; can you please give some information about them? A:Schwartz Law Firm is run by two renowned attorneys, Ronald B. Schwartz and H. Shaina Colover. They both have made a name for themselves in the law field with their hard work and excellent law skills. Ronald B. Schwartz has over 3 years of practice experience and is a recognized as one of the best attorneys in California. He ha achieved many awards for his work and is a member of the district central court of California. On the same hand, H. Shaina Colover is a specialized attorney in wrongful death and injury. She is a member of the California district bar and has been mentioned in various publications for her superior advocacy skills.